Laura Jacobs is appointed at the UA chief of staff. | Courtesy of the University of Ark. 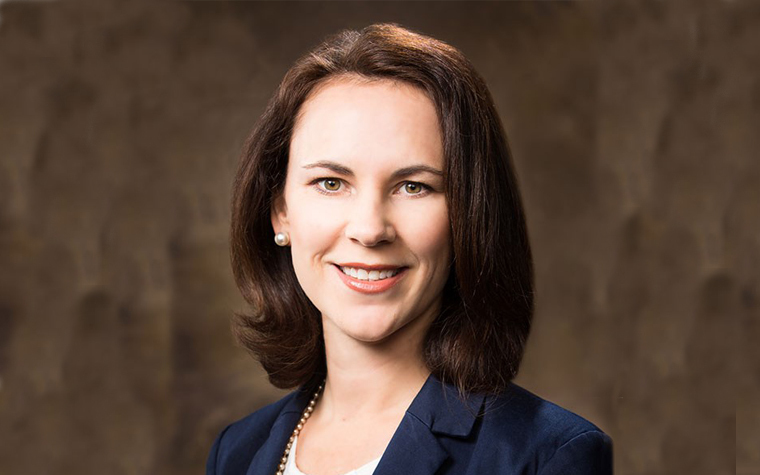 The University of Arkansas (UA) announced this week that Laura Jacobs has been appointed to serve as associate vice chancellor and chief of staff for the university. Jacobs was selected by incoming University Chancellor Joseph Steinmetz. She began working for the university in 1998 and has served as a manager of the institution’s development communication office and as a managing editor for Arkansas magazine. She earned a bachelor’s degree in English and communication and a master’s in higher education administration from UA. Most recently, Jacobs served as the associate vice chancellor for University Relations. In her new position, she will be tasked with the development of executive strategy and other strategic planning initiatives, and she will act as an adviser for Steinmetz. "I was consistently impressed with Laura as I got to know her last year during the chancellor search process in her role leading the search committee," Steinmetz said. "Her depth of experience in strategic planning and communications combined with her natural tact in dealing with others make her a perfect fit for this important role." The university also announced other position changes including the appointment of Sally Adams as executive assistant to the chancellor; the appointment of Marcia Overby as vice chancellor of administration; Amy Schlesing will serve as acting director of strategic communication for university relations; and Mark Rushing will be taking over Jacob’s former role as director of strategic communication.